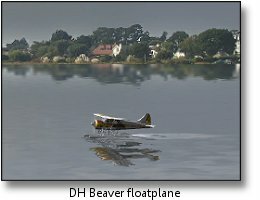 RC Flight Simulators - Worth Buying? A much-asked question! 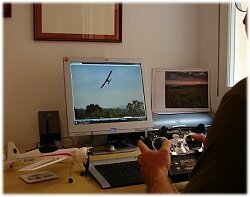 The truth is, RC flight simulators can give you a very realistic radio control flight training experience, all from the comfort of your own home. 'Sims' for personal computers first became available in the late 1980s, but chunky computer graphics and slow computer processors really limited their realism. 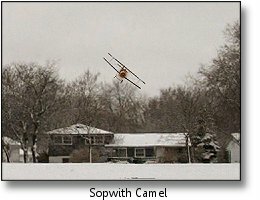 But throughout the '90s, with the rapid improvement in home computers, rc simulators quickly evolved in to an excellent radio control flight training aid, second only to side-by-side club instructor training. Nowadays of course, with warp-speed computer processors and outstandingly realistic graphics, modern rc flight simulators such as Phoenix and RealFlight, for example, have become hugely popular. Sadly Phoenix has since been taken out of production (why??) but RealFlight thankfully still lives. 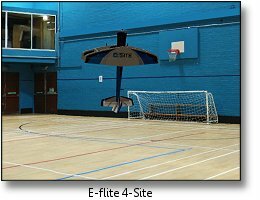 Such simulators have reached into many homes and have become a 'must have' rc flying accessory; they have helped countless novice rc pilots learn the basics of radio control flight, and expert pilots rehearse their aerobatic and 3D routines to a faultless performance. with RealFlight now taking its place. A good quality rc simulator consists of very powerful software, loadable onto your computer via a CD or download. The sim may or may not include a realistic transmitter-based interface controller. Such a controller works in exactly the same way as a normal rc transmitter does but instead of sending a radio signal to the receiver in the model, the signal passes through a cable to drive the software installed on your computer. RC flight simulators that don't include a controller can be used with your normal TX, although some of the cheaper sims do have a more limited number of compatible transmitters with which they will work. But using your own transmitter is in fact the best option because it lets you get 100% familiar with it. Having said that, though, the controller supplied with the RealFlight sim is perfectly realistic and is indeed based on a Futaba eight channel TX, so it's not the end of the world if you do have to use a sim controller rather than your own TX. Whichever TX you do use, whether your own or a supplied controller, the aircraft's response to your control input is precise and accurate, within reason, and the smooth graphics and realistic engine sounds (accurately matched to your throttle stick movements) really make you feel like you're standing on the flight line, flying the real thing. That said, there are of course a few differences between virtual and real rc flight training which you'll need to get used to. For example, the wind effect on some rc flight simulators doesn't include unpredictable gusts. Also, using any zoom feature on a sim can distract you from getting used to your plane's true position and orientation relative to you and the ground, because you have no peripheral vision to aid you. But these are things that your real-life rc flight training will soon teach you! As with everything else radio control, prices have dropped in recent years making a simulator quite affordable. And with most households now owning - or having access to - modern personal computers and laptops, sims have rocketed in popularity as a sensible and very effective training aid. 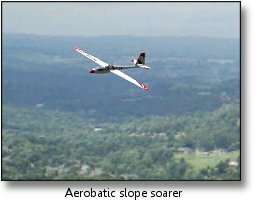 Modern day rc flight simulators such as Phoenix and RealFlight feature all the popular model aircraft types - planes, helicopters, multi-rotors, gliders and jets. Furthermore, you can try different camera angles including cockpit view. This is an excellent way of getting used to FPV flying, should you be interested in that. 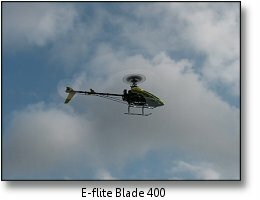 Phoenix, since striking a deal with rc product giants Horizon Hobby, feature a lot of Horizon's aircraft from their ParkZone, HobbyZone and E-flite ranges. 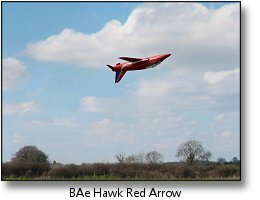 This is great news if you actually have one of their models, although you might need to tweak the flight characteristics on the sim to get it flying exactly like your model. And on that note, a good quality sim like Phoenix lets you edit many aircraft and flying site parameters, to suit your own flying style. It's very sad that Phoenix is no longer in production, but if you can get a used one off eBay then do consider it. Events such as pylon racing, spot landing, balloon bursting and limbo flying are available to really test your skills and online multi-player mode is also a great feature if you have a fast internet connection. 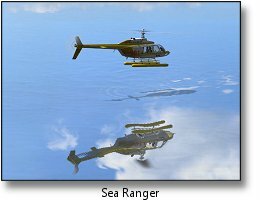 Most rc flight simulators feature a virtual flight school where professional rc pilots (from the real world) teach you everything from basic take off and landing techniques to advanced aerobatic maneuvers. Each lesson is narrated by the pilot, and TX stick movements are shown so you can see exactly what's happening and when. When learning to fly radio control there's a good chance that your aircraft will get damaged sooner or later, but learning on an rc flight simulator will help minimise those little 'incidents'. Indeed, a big advantage with learning to fly on a sim is that it gets you used to the 'reverse control', or 'reverse co-ordination', which is the term used when the aircraft is flying towards you and the turns become reversed i.e. left is right and vice versa. This is an invaluable advantage because reverse control catches so many new rc pilots out in their early days. Another big advantage of owning an rc flight simulator is that there's no excuse not to fly - even when the weather is against you, you can still be practising all those maneuvers from the comfort of home, all the time teaching yourself to become a much better radio control pilot ready for that next trip to the flying field. It's easy to see an rc flight sim as a glorified game consol, and you'd be forgiven for flying your virtual aircraft in as many crazy ways as possible and trying to do the most spectacular crash ever. But don't! Remember that your sim is there to teach you to fly. When your virtual airplane or helicopter is spinning out of control, imagine that it's your actual aircraft and that it's going to cost you a few hundred bucks if you destroy it. Do all you can to try and recover, and get the aircraft back to earth safely. In other words, don't let yourself get in to bad habits on your simulator because these will inevitably follow you onto the flying field. Of course have fun with it and enjoy every moment, but remember why you bought the simulator in the first place, and use it accordingly - as a serious training aid to your flying. 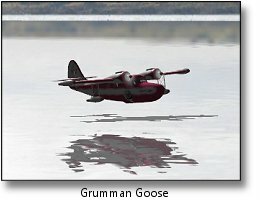 Remember - a computer doesn't crash the same way as a model airplane does! 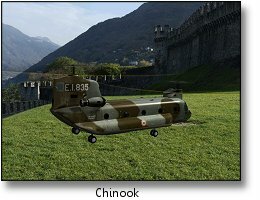 If you're serious about rc flying, get an rc flight simulator! I've talked about Phoenix and RealFlight on this page simply because that's what I have and I can recommend either one. But other popular sims include FMS which is either a free download or sold in a package with 4 or 6 channel controller (and sometimes even bundled in with an RTF aircraft deal), Clearview, Reflex XTR and AeroFly Pro. This latter one, AeroFly, is right up there with Phoenix and RealFlight in terms of quality and is - at the time of writing - the only sim which is truly Mac compatible. The radio control flying hobby is a fast moving one, and nothing stays still for very long. 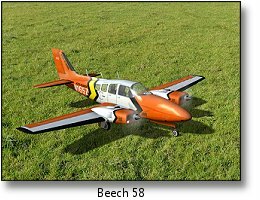 RC flight simulator manufacturers are regularly releasing updates of their sims, whether it's releasing new aircraft or flying sites, or complete newer versions of the sim. Make sure you get the most out of your sim by regularly checking the appropriate website for update news. Alternatively look for an update button within your sim, and this will lead you through the process.